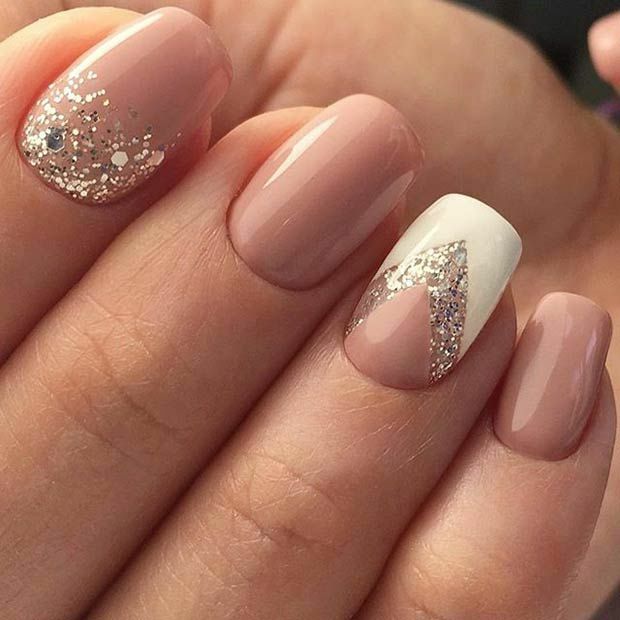 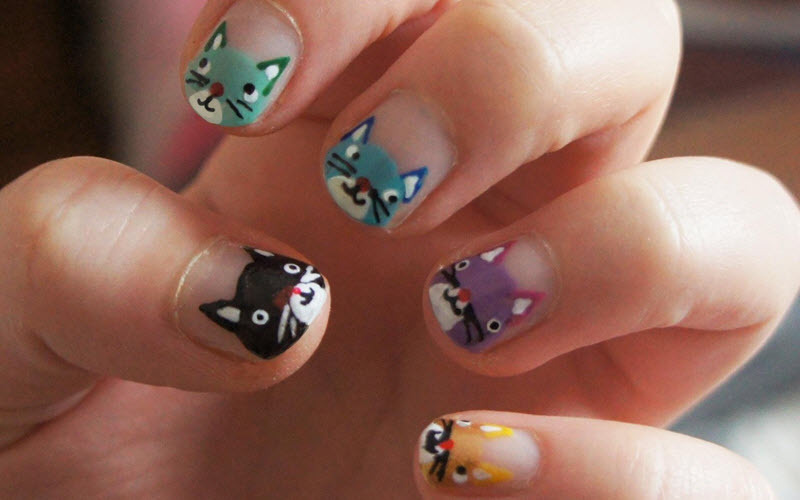 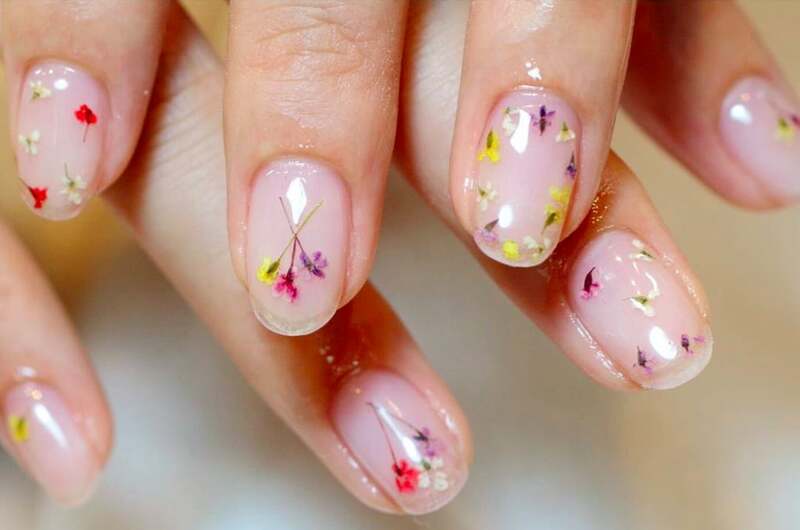 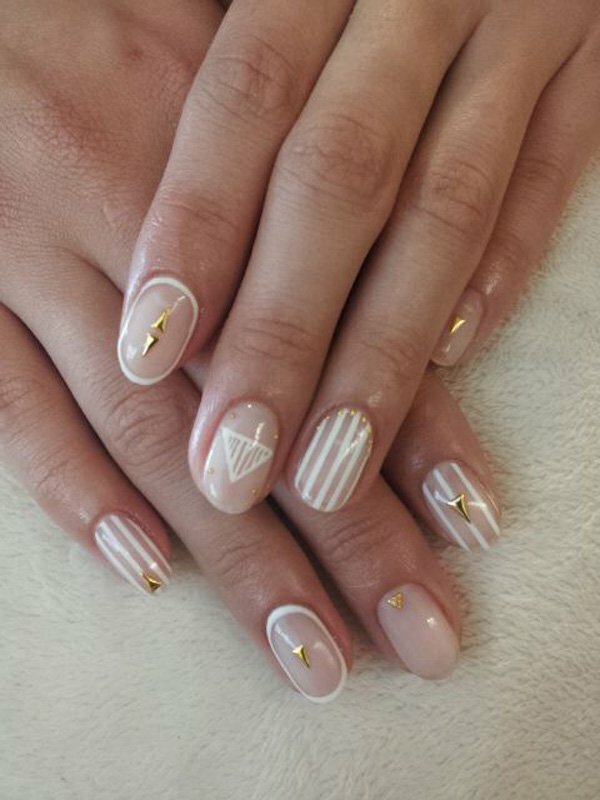 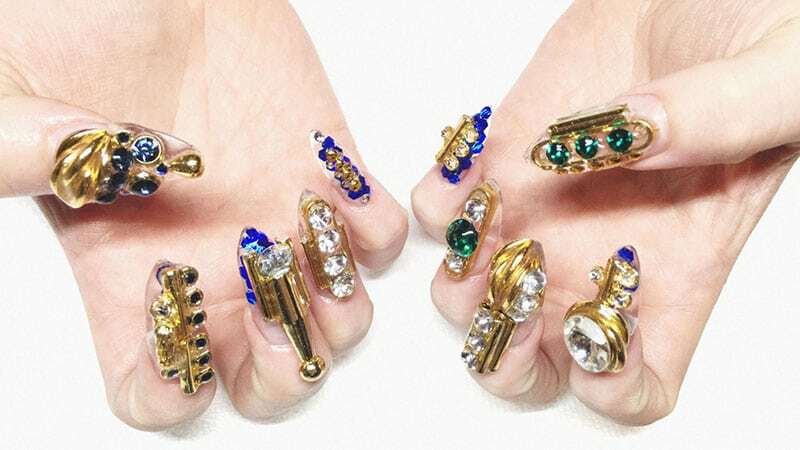 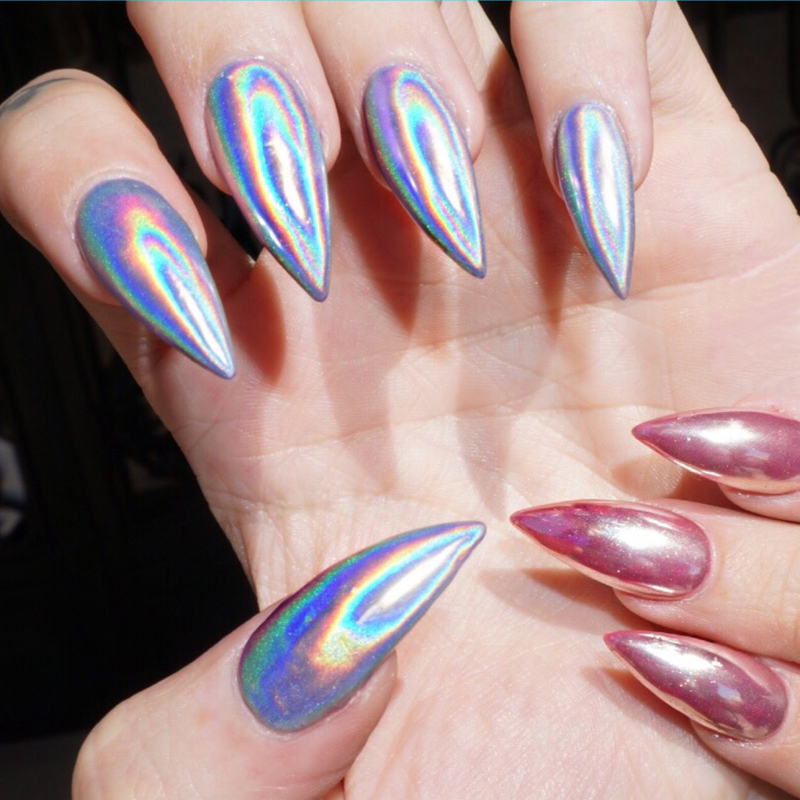 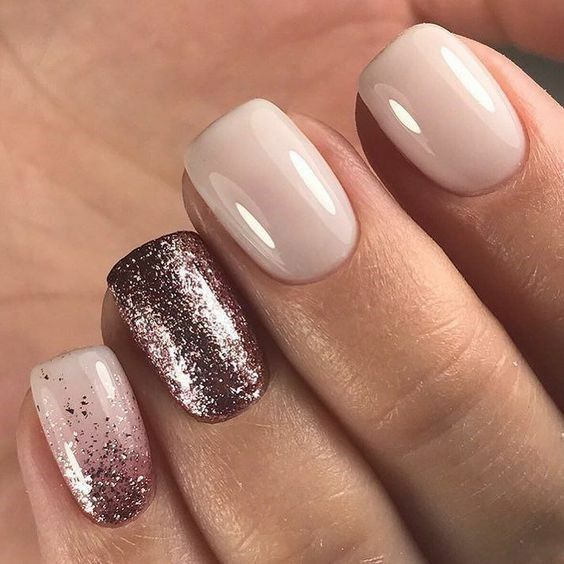 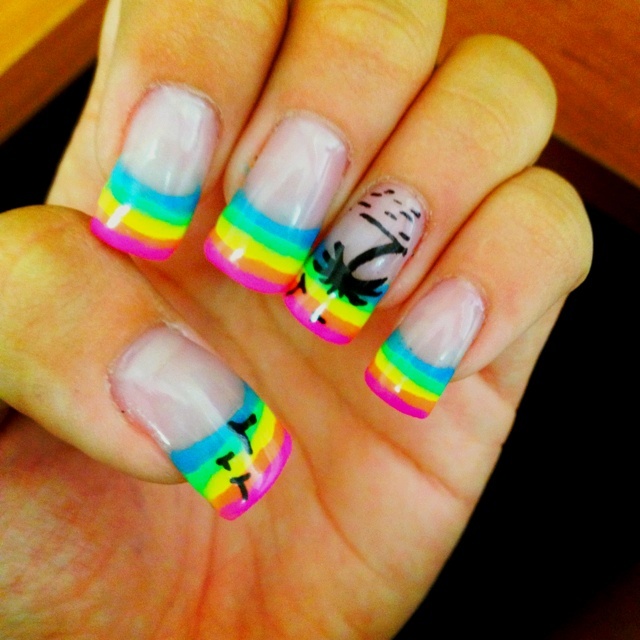 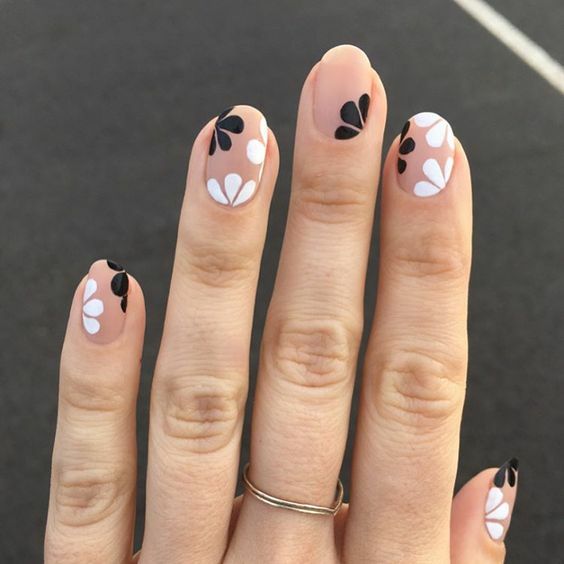 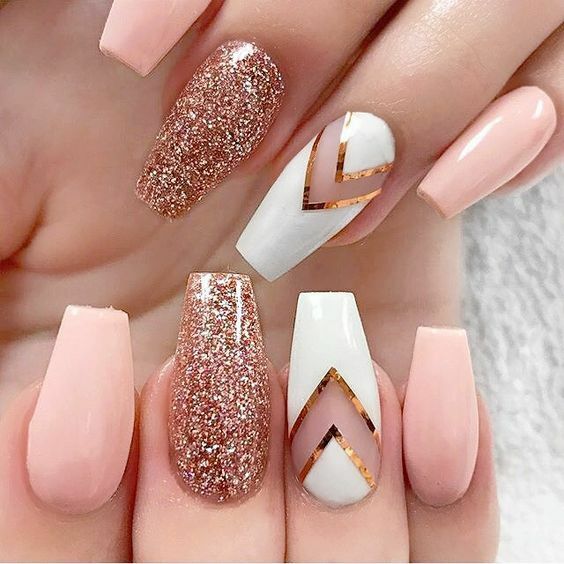 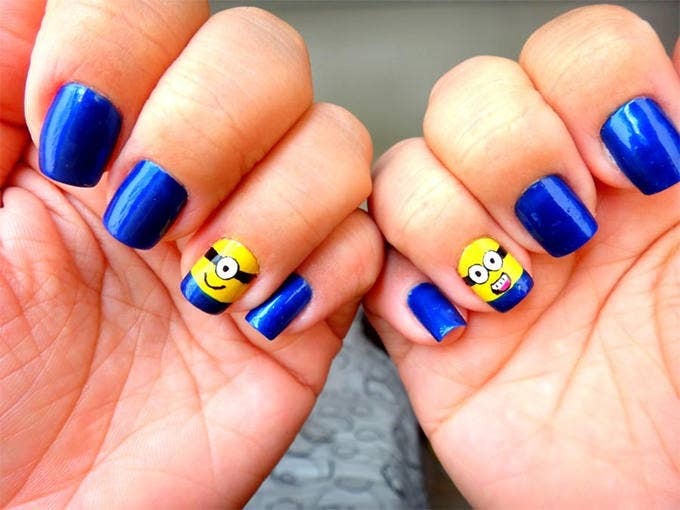 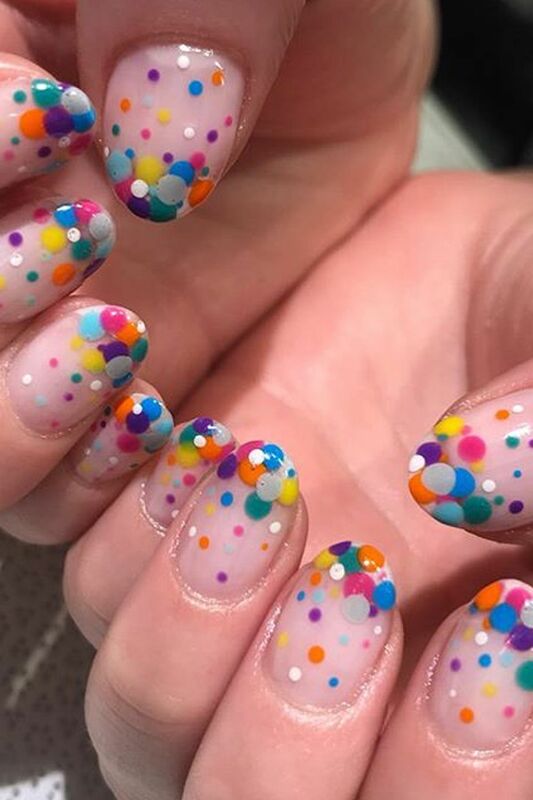 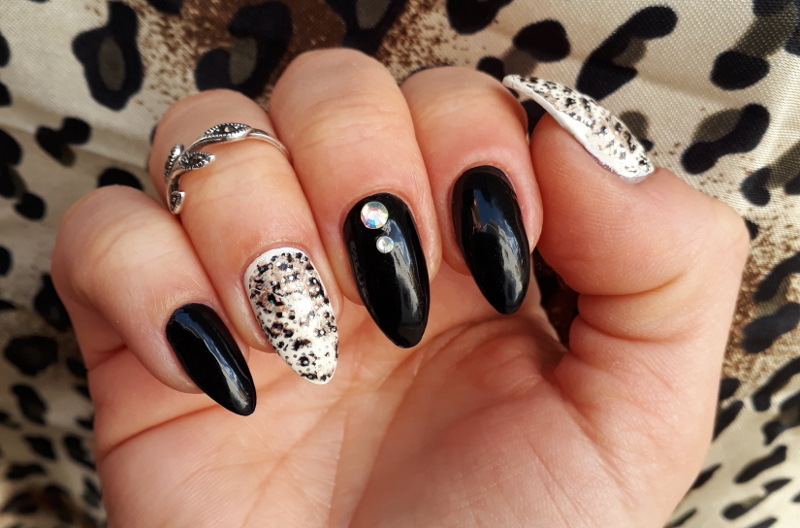 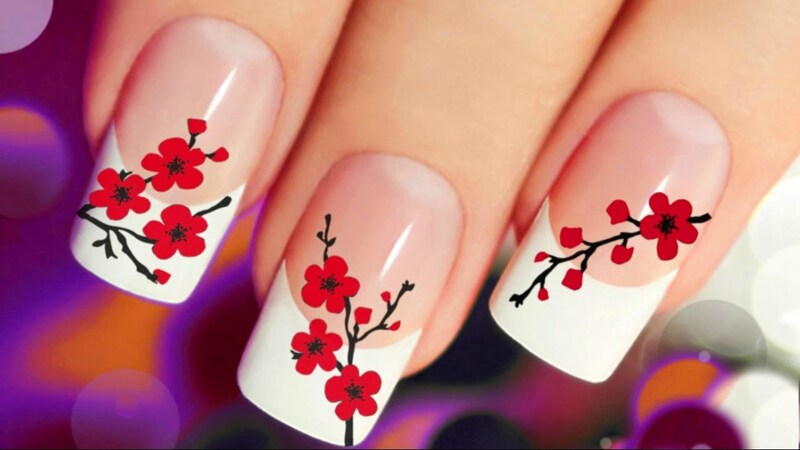 The nail industry is a million dollar industry, maybe because more and more women are patronizing nail products like never before. 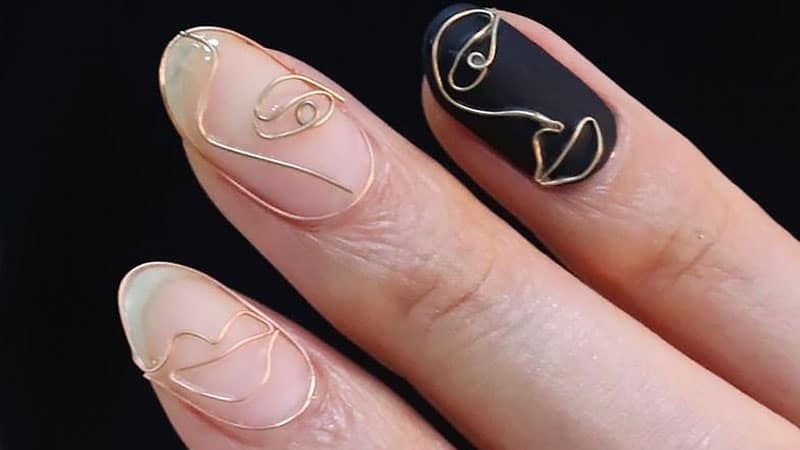 The penchant for more ornate, more intricate and bolder designs is not abating, in fact it is escalating. 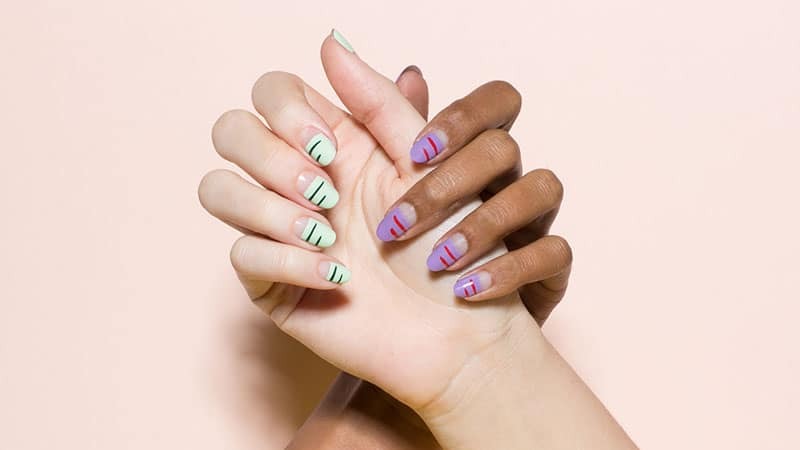 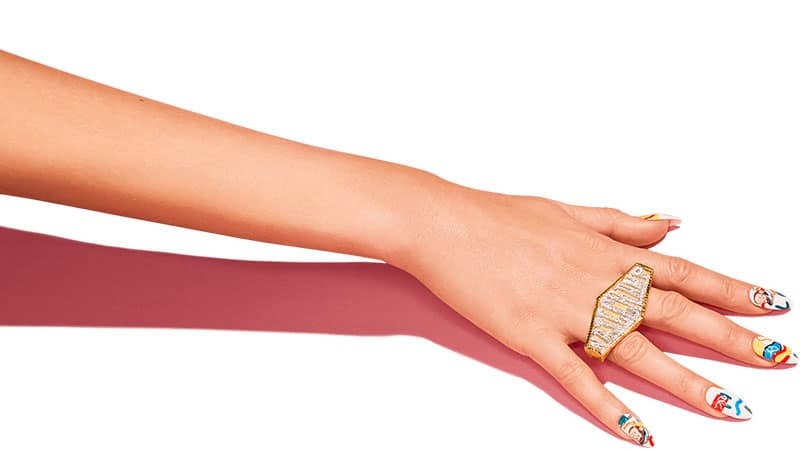 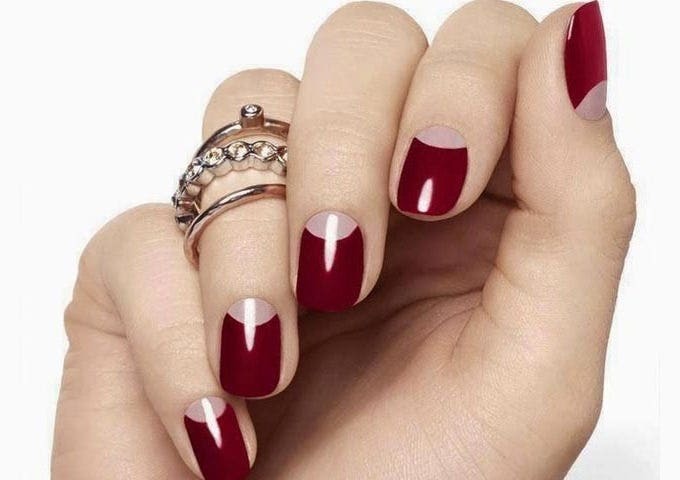 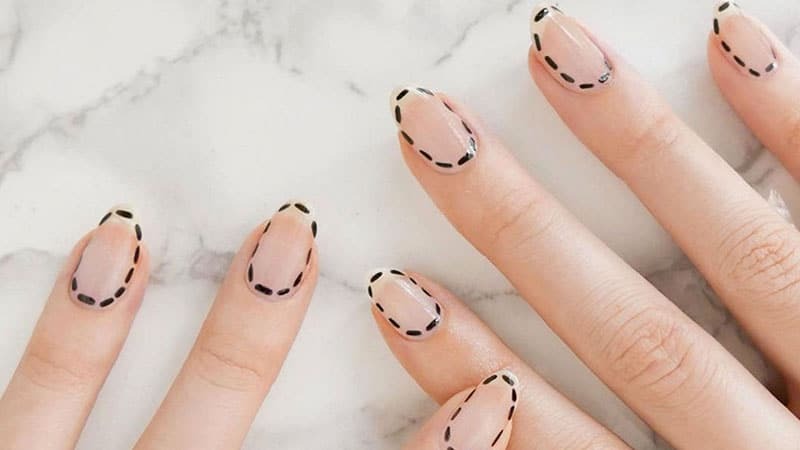 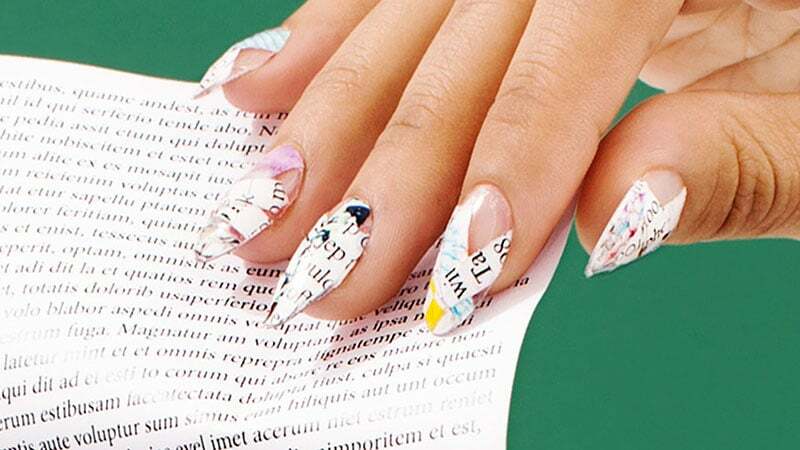 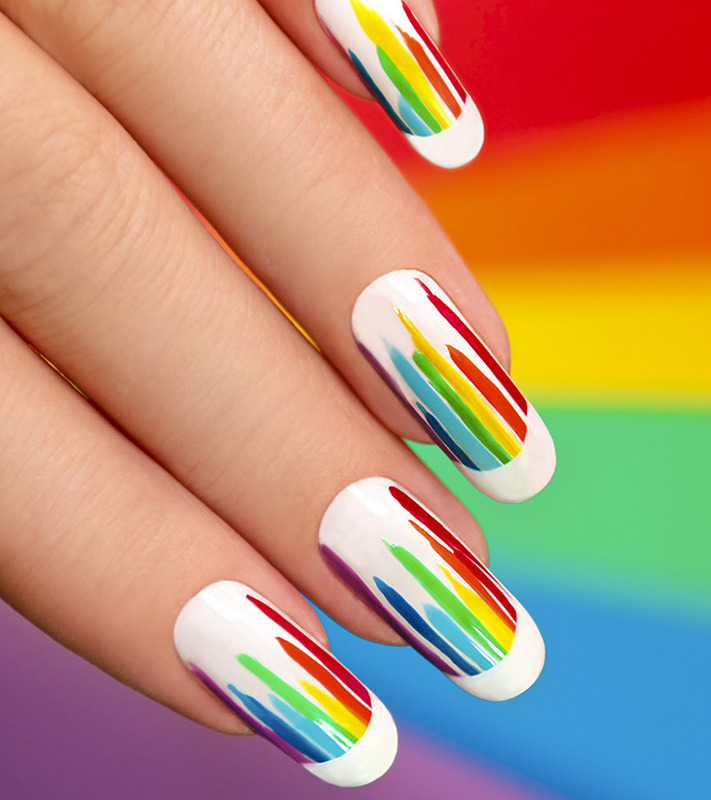 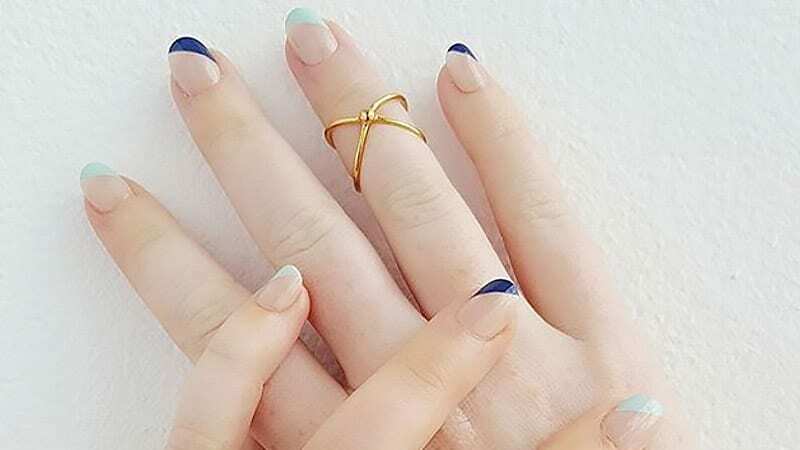 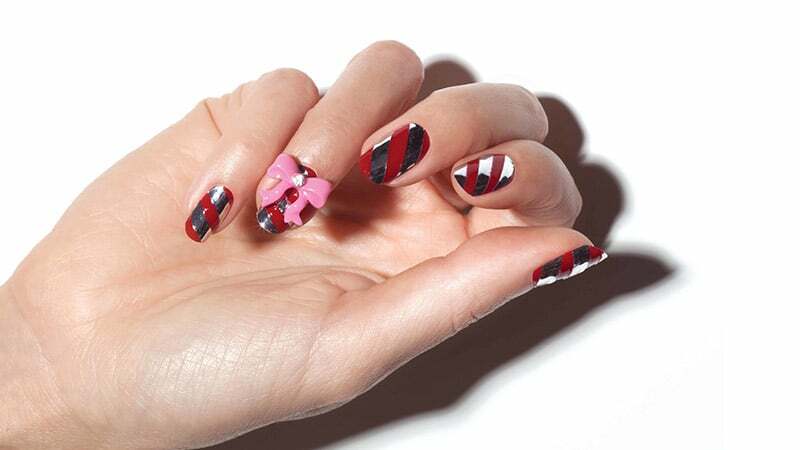 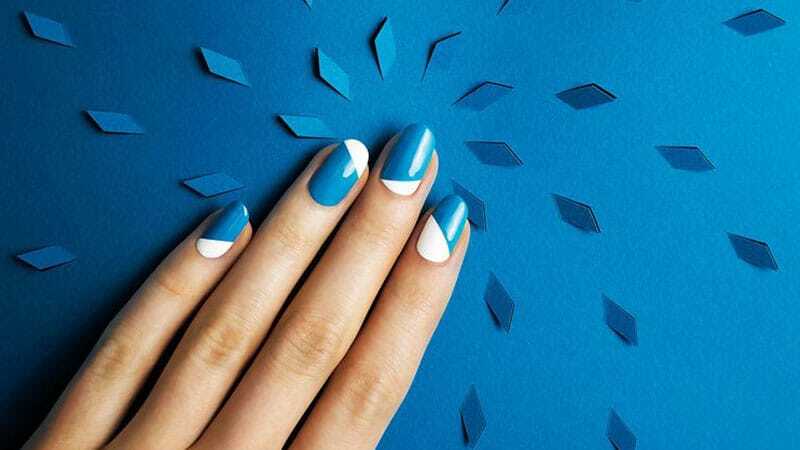 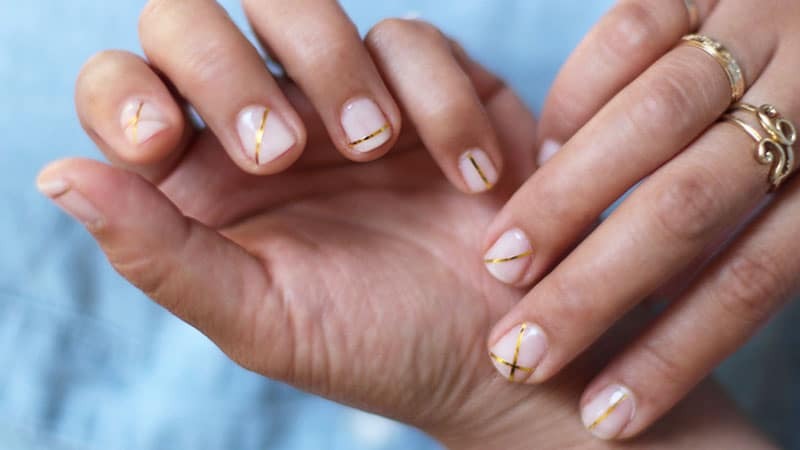 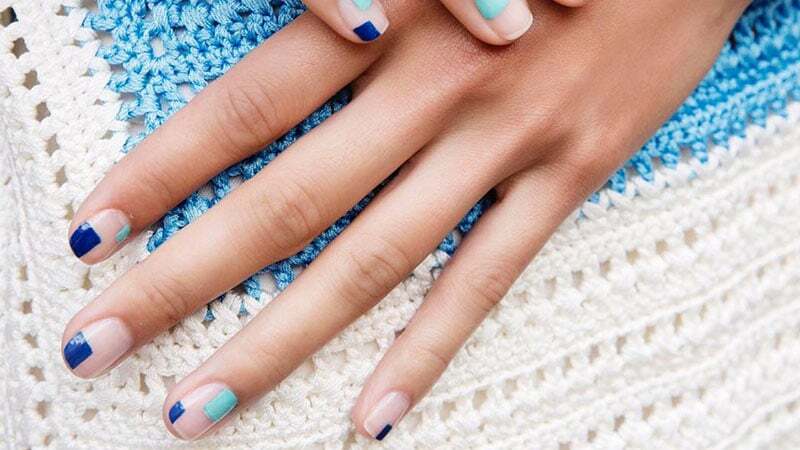 Classic manicures such as a French manicure is given a new twist by using more vivid and dazzling colors instead of the staid and sedate pink and white. 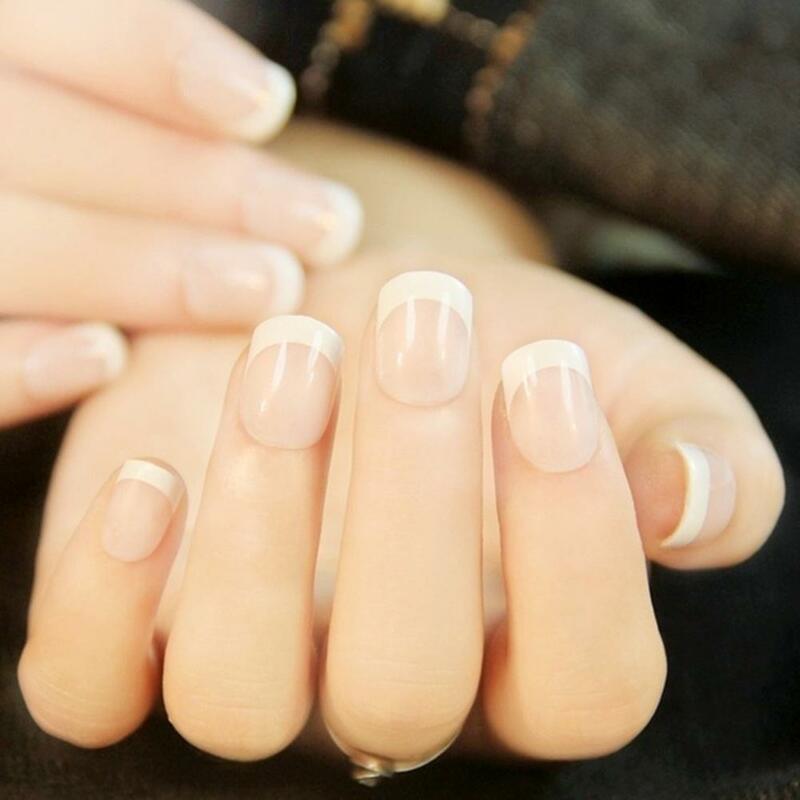 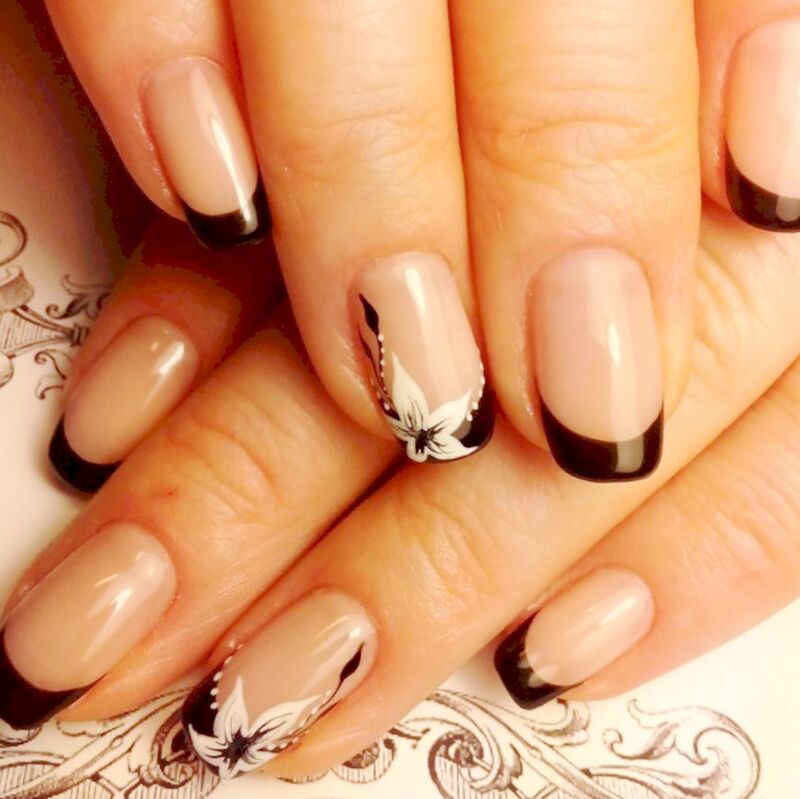 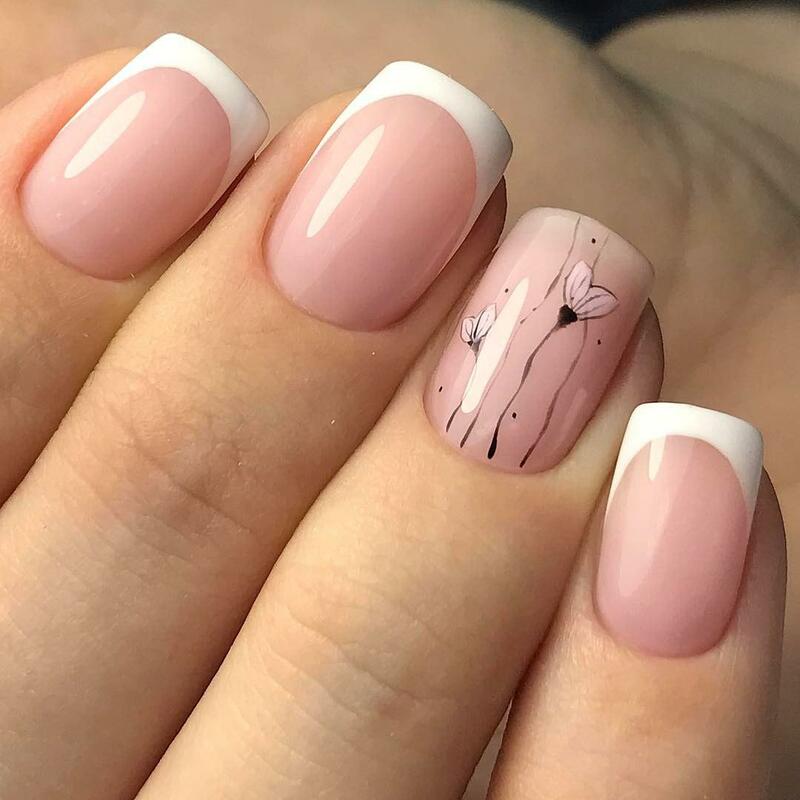 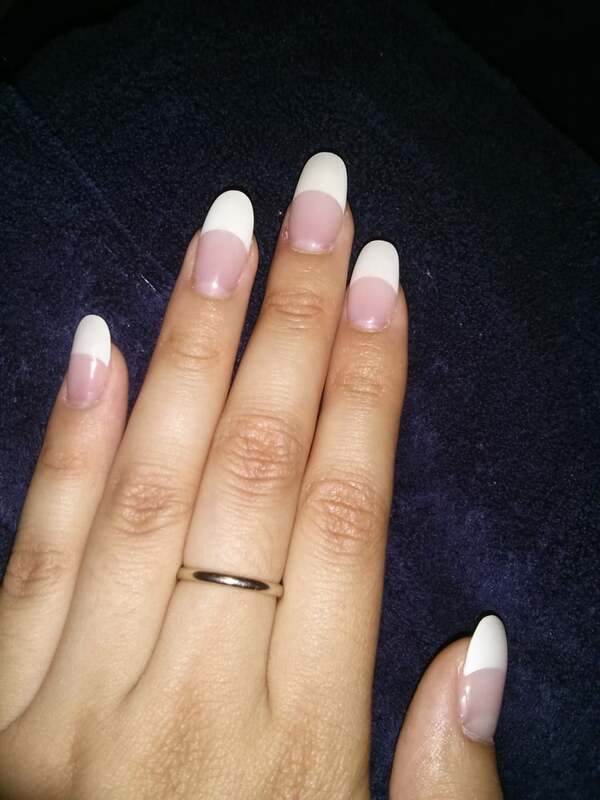 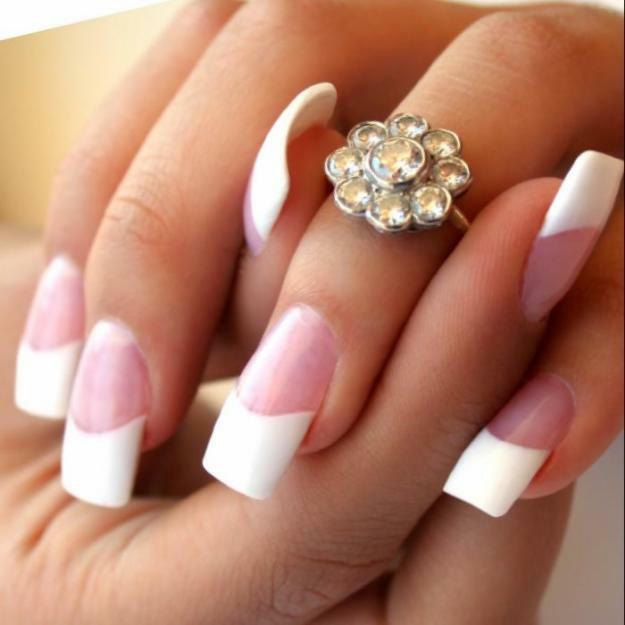 The traditional pink and white French manicure is given a bolder look with the use of audacious and intense contrasting colors. 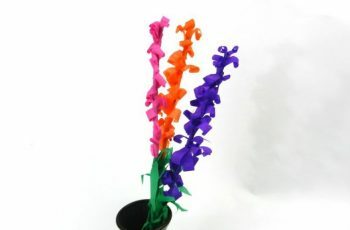 If you are in doubt as to what colors would work great together then choose colors that are a just several shades apart. 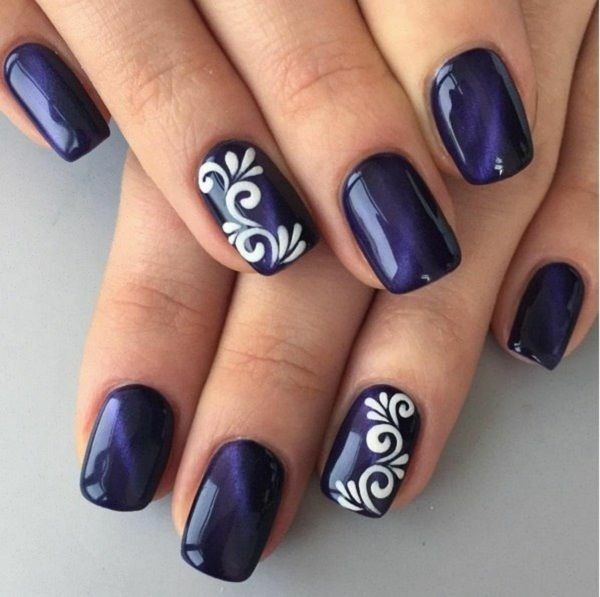 Lilac and plum,. 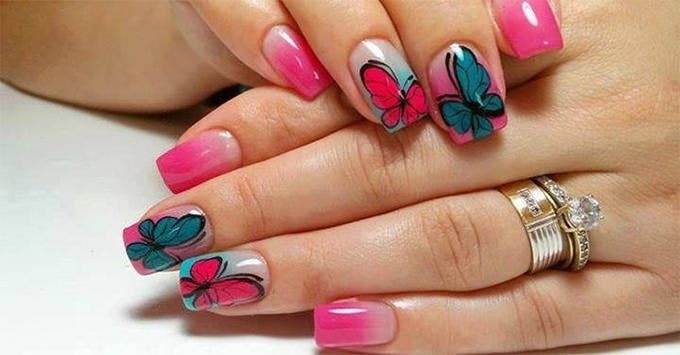 Magenta and light pink, metallic silver and white, gold and light yellow or any color combination in the same fashion. 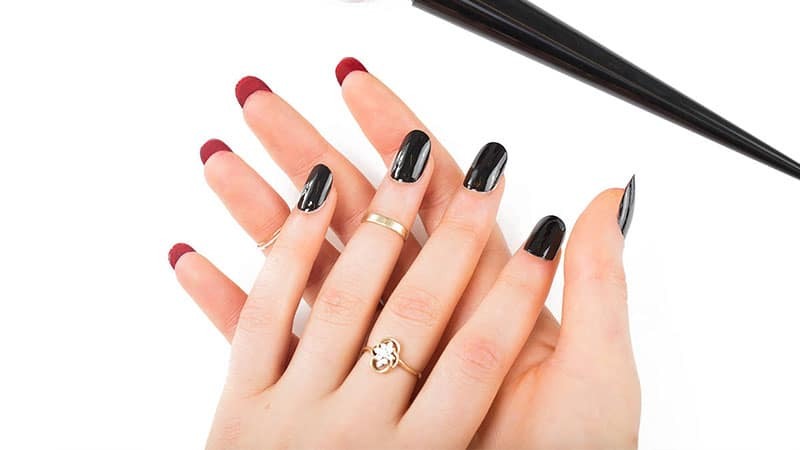 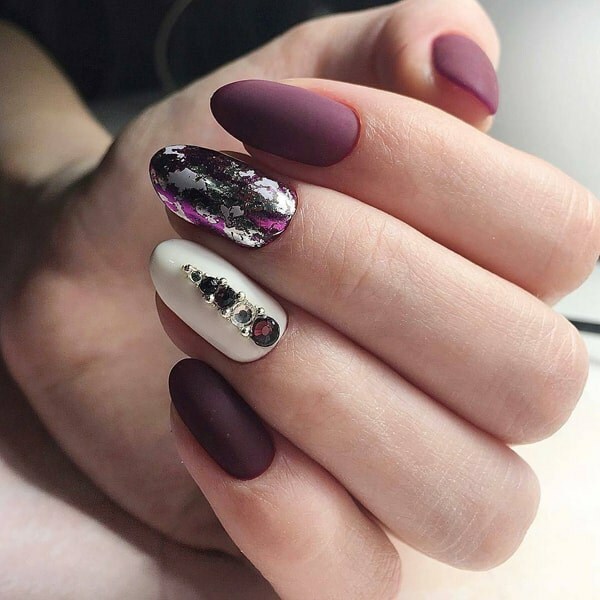 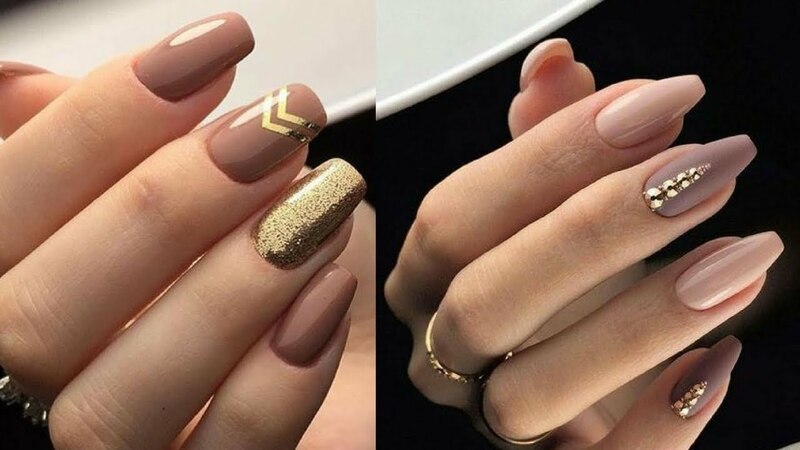 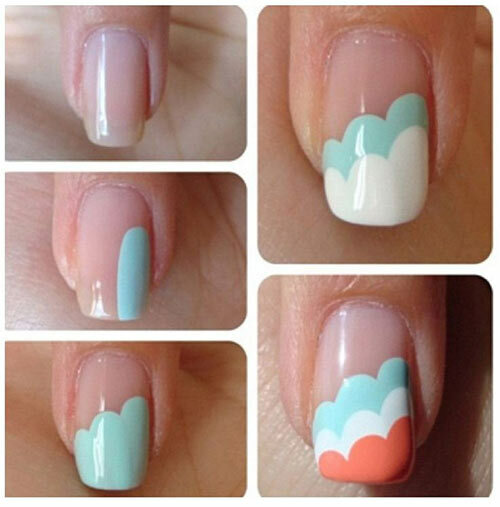 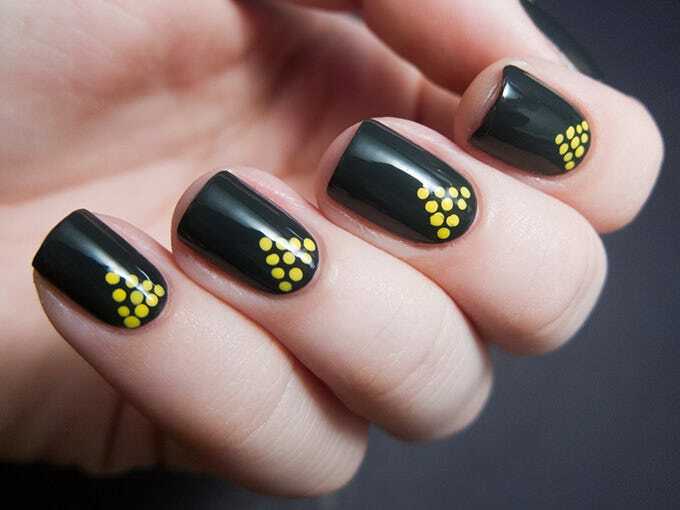 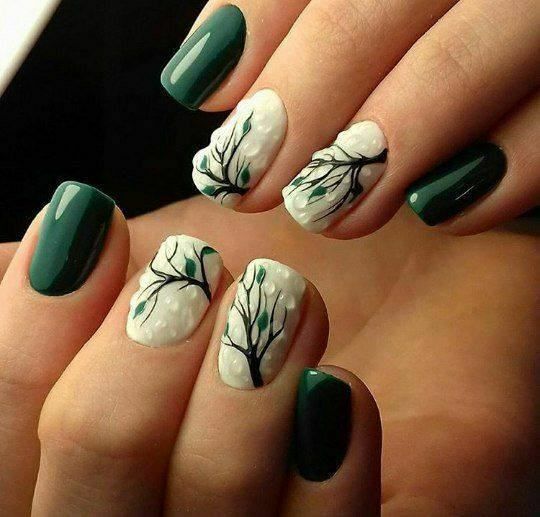 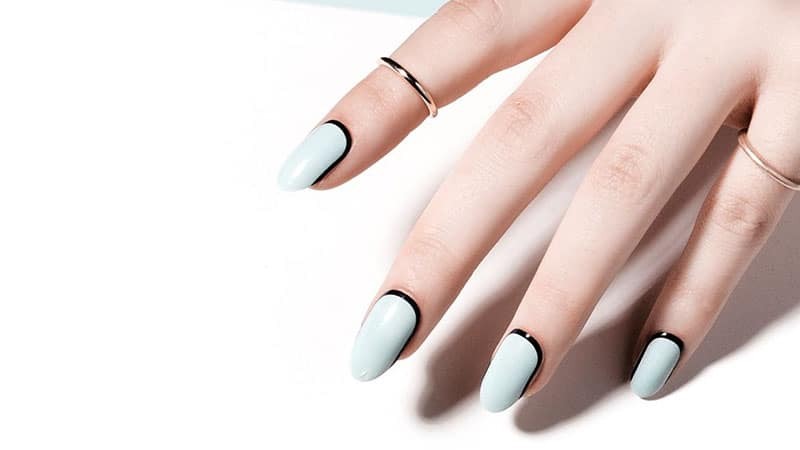 Color the tip of the nail with the dark shade and the rest of the nail with the lighter shade or switch the color for that over-the-top look. 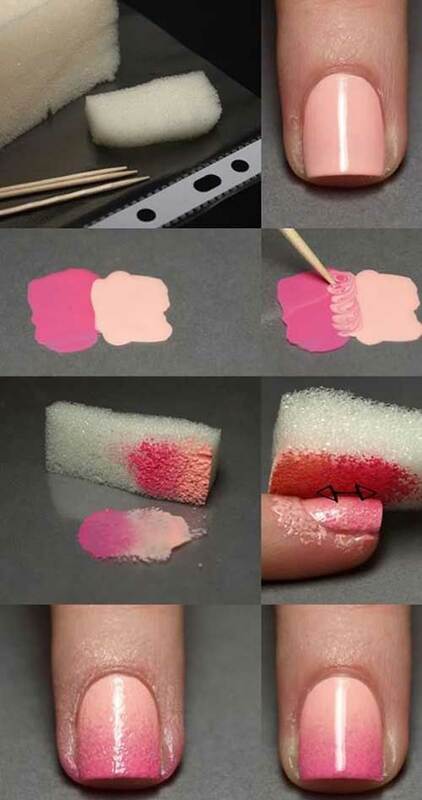 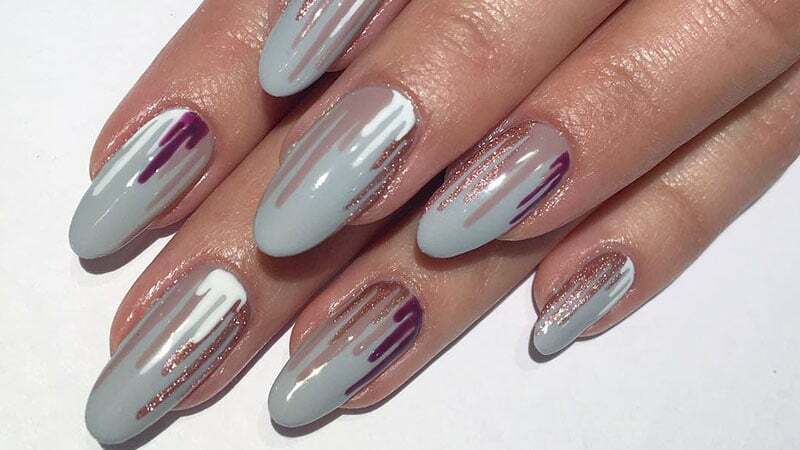 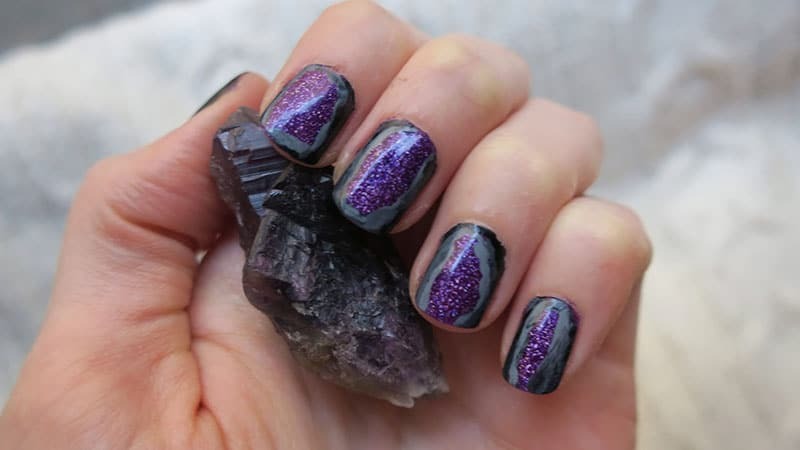 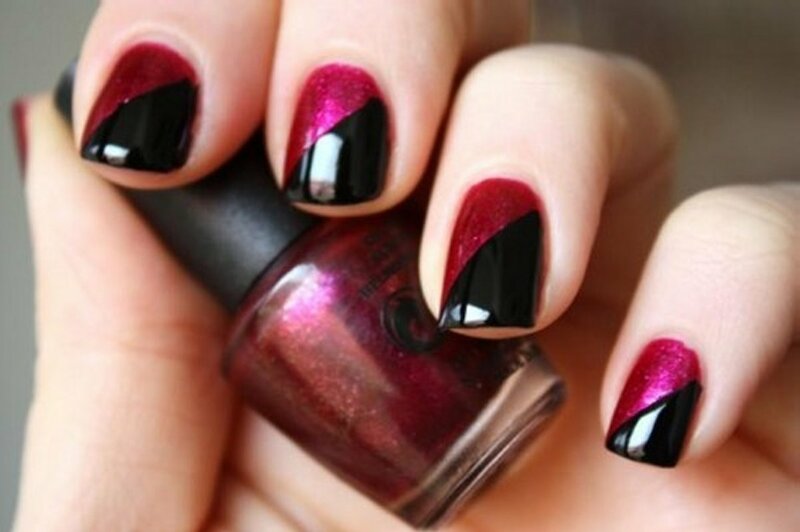 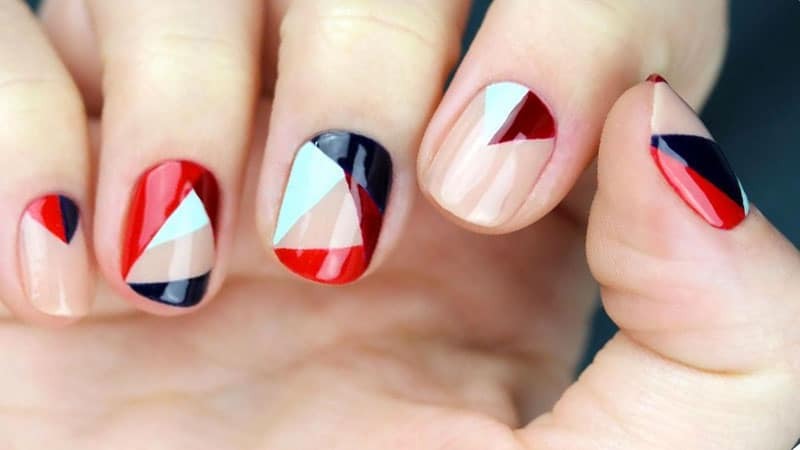 This nail painting idea will involve your favorite bold and dazzling colors, it could be red, magenta even blue but with a dash of glitter and shimmer. 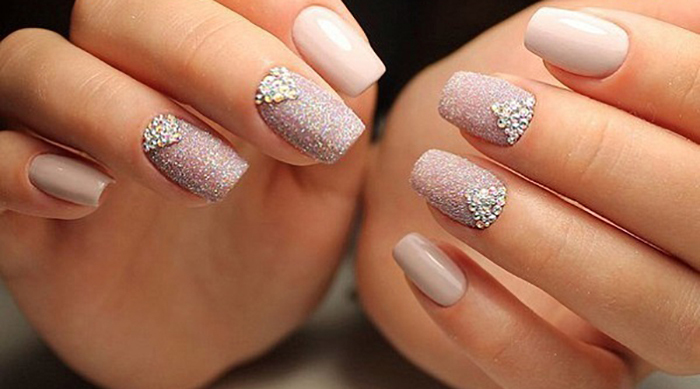 There are products that are sold with built- in glitter. 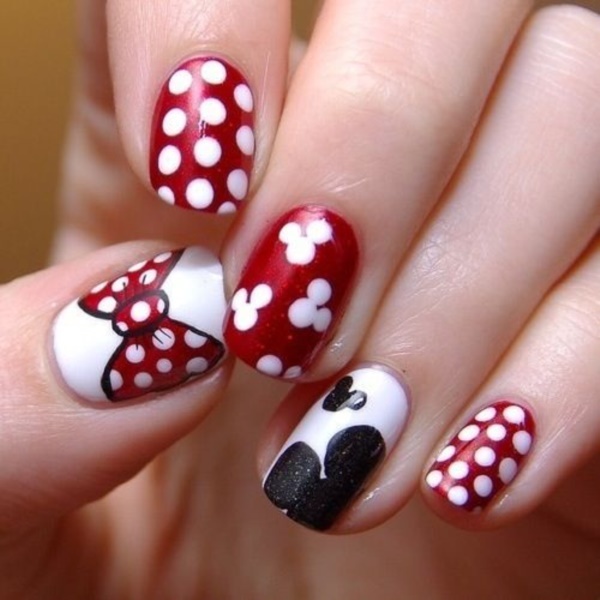 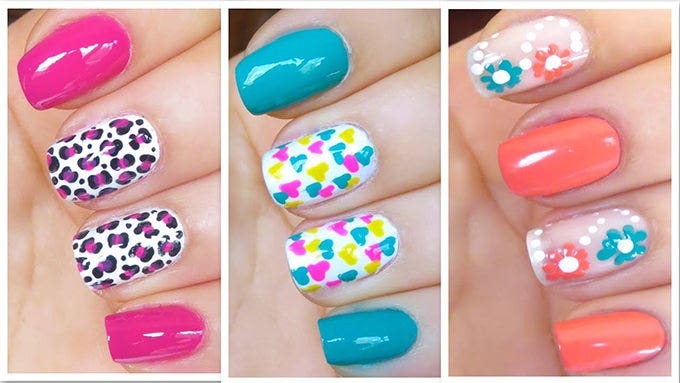 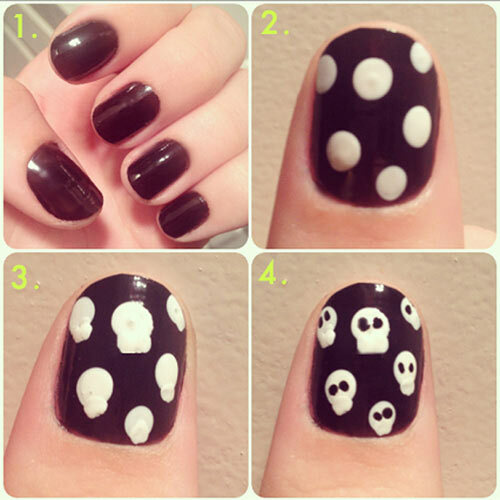 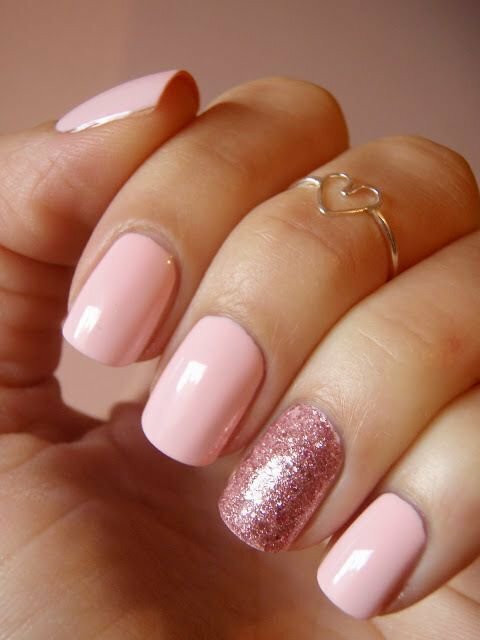 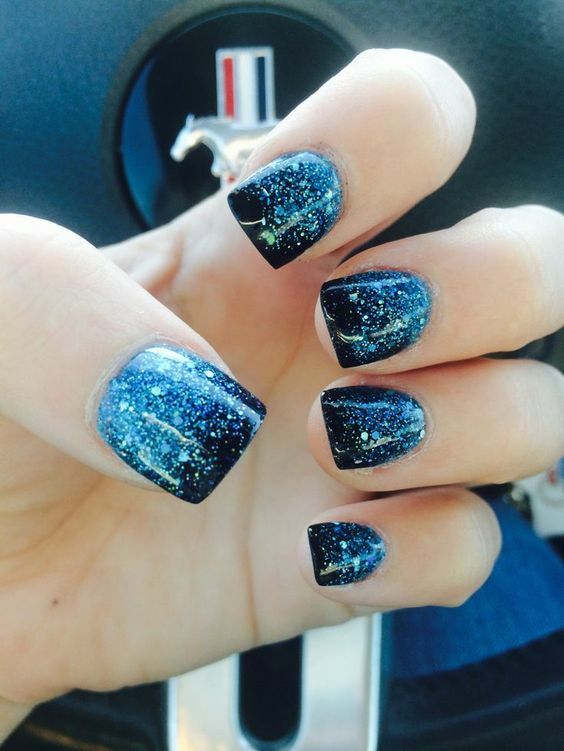 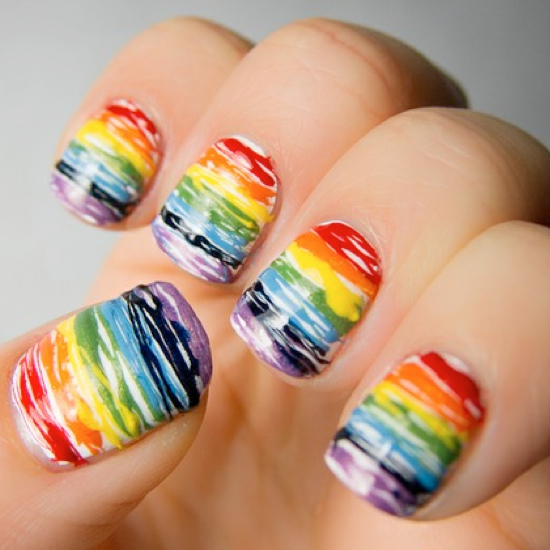 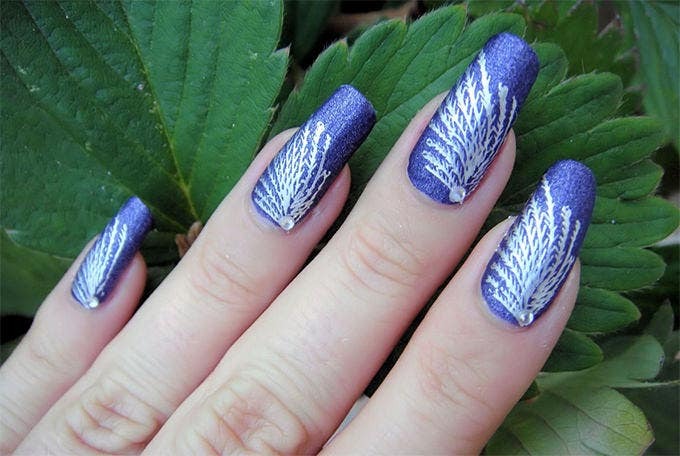 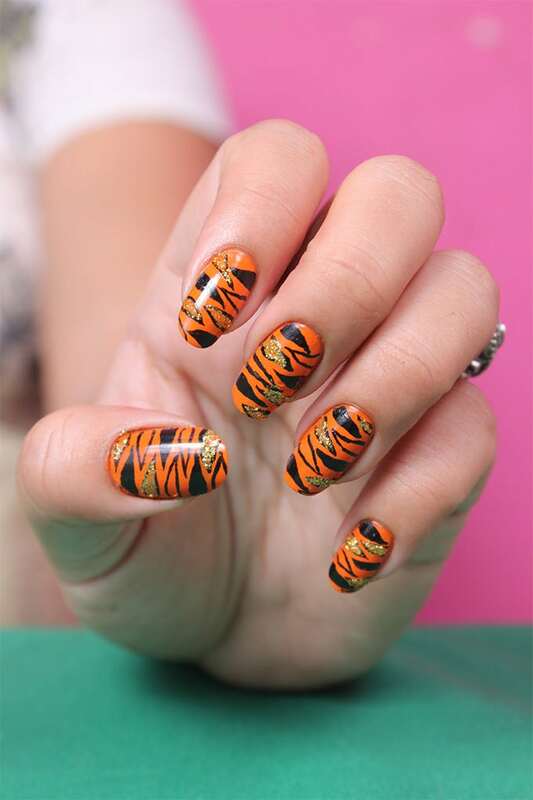 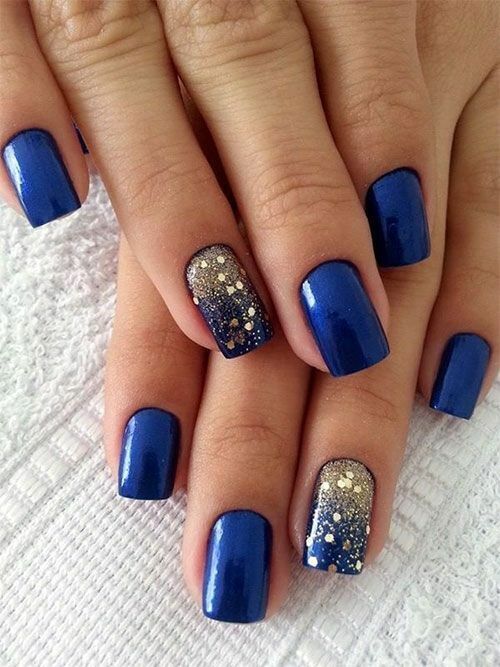 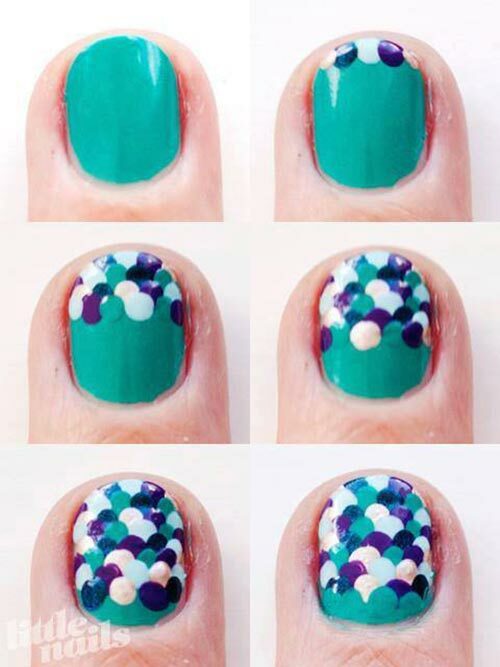 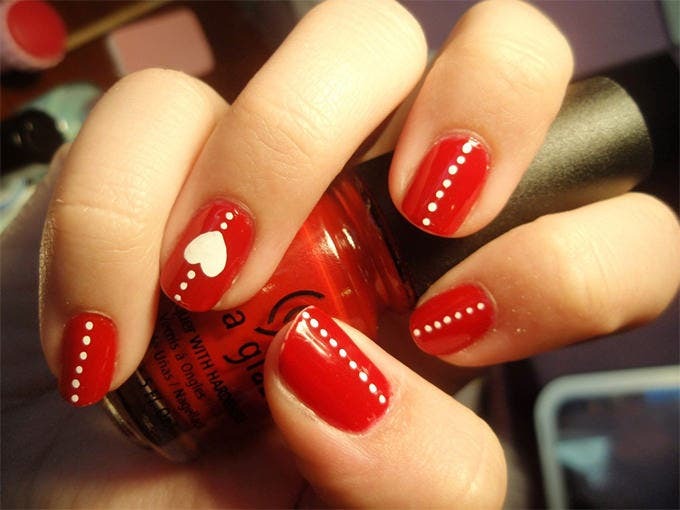 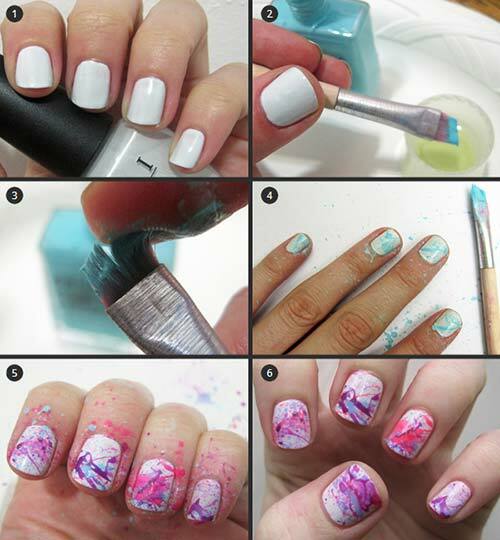 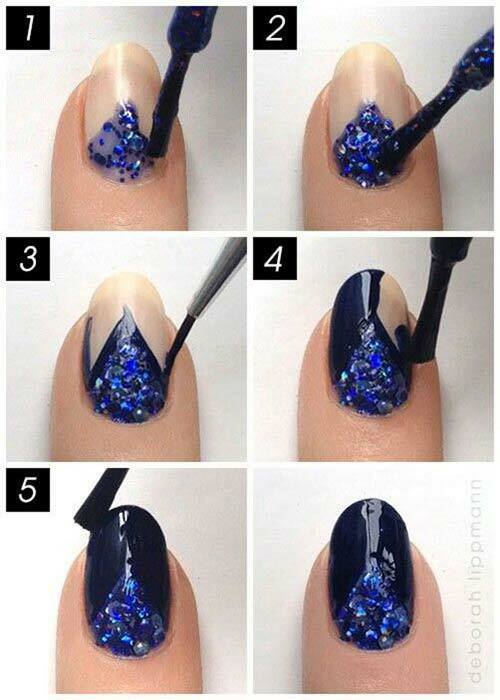 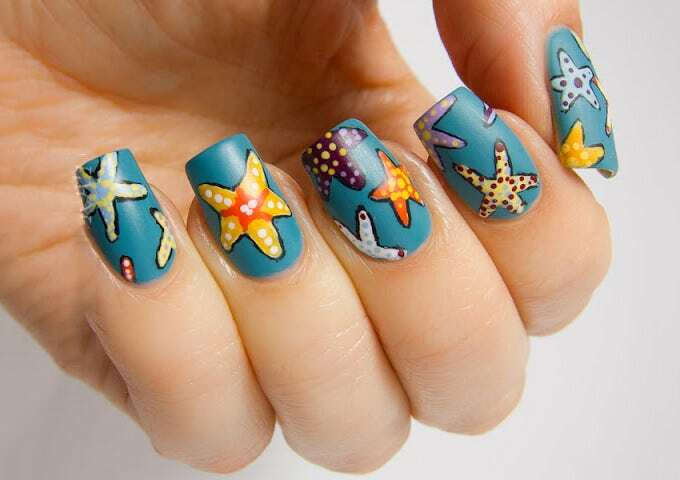 Apply your favorite bold color on your nails and top it with glitter polish of the same shade. 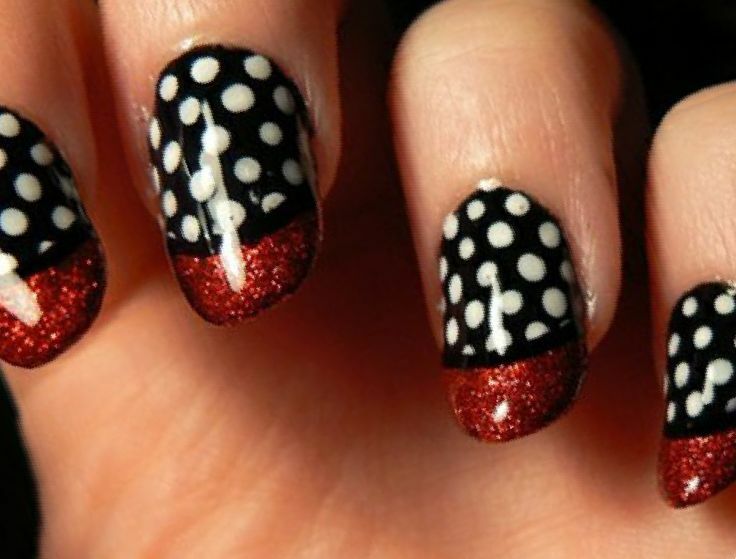 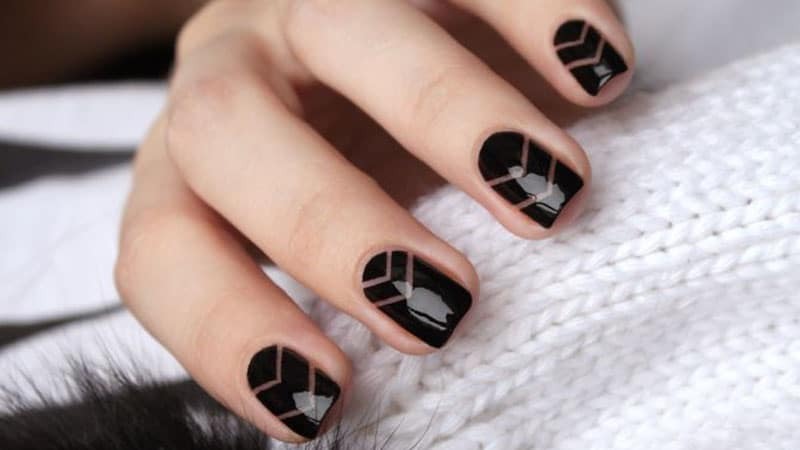 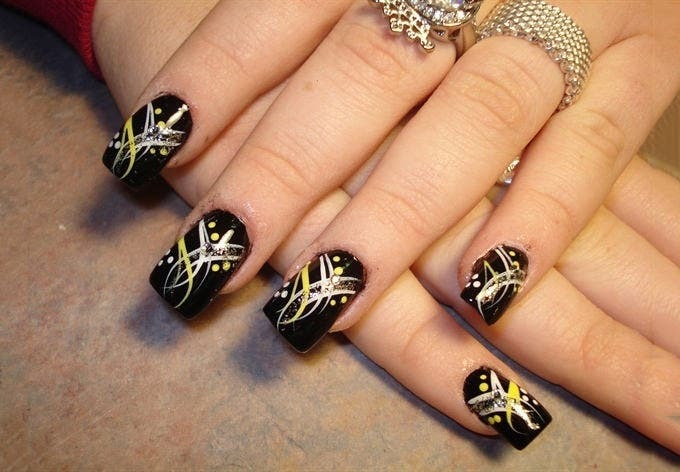 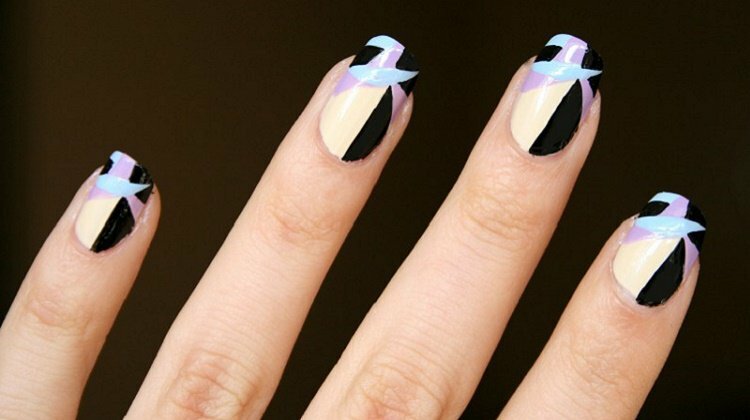 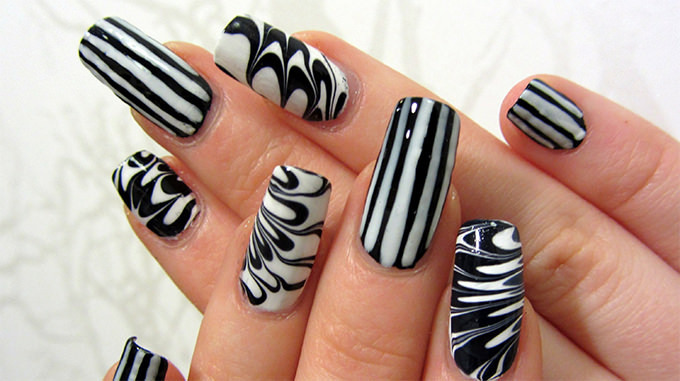 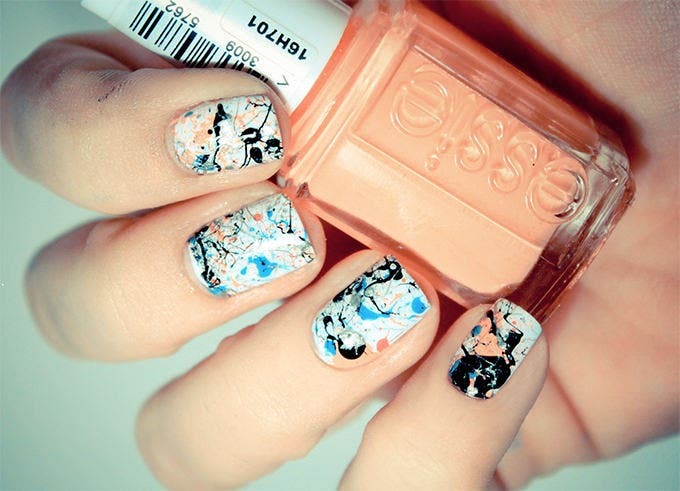 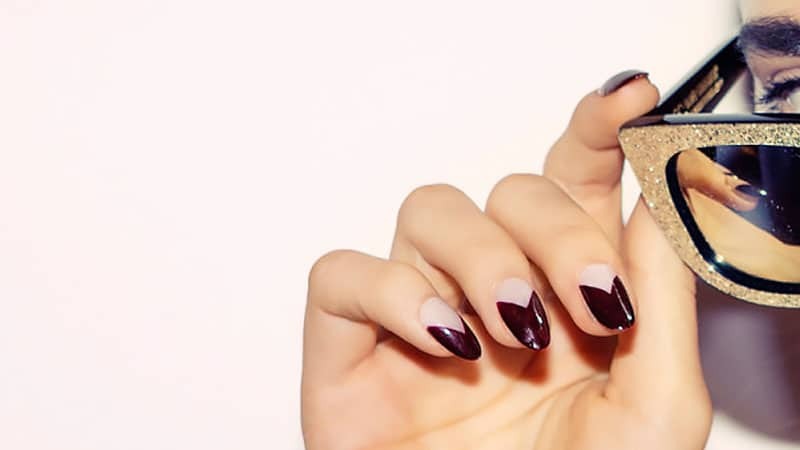 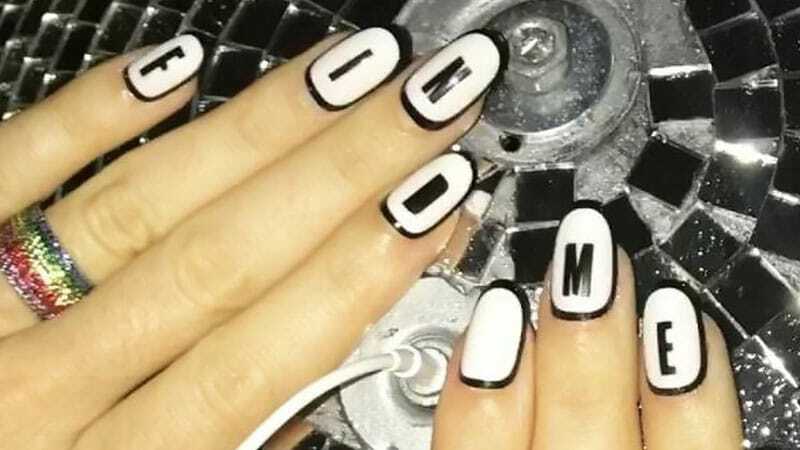 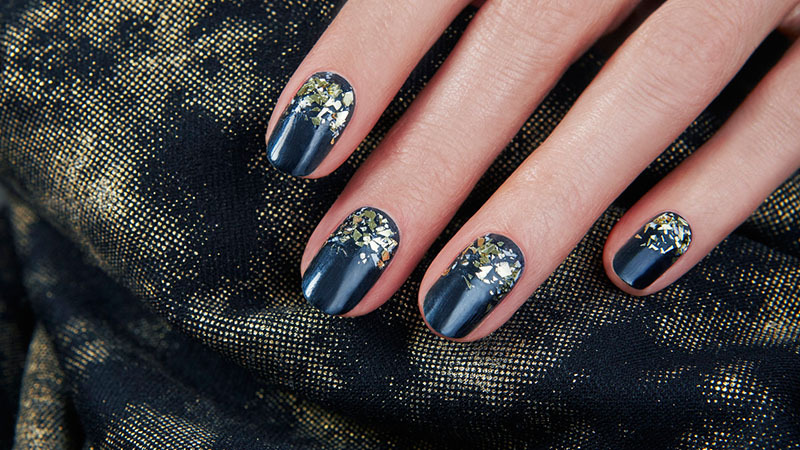 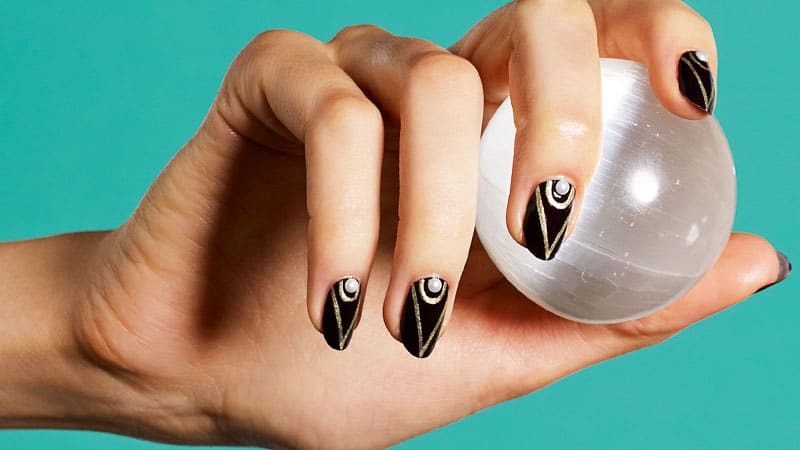 This is a very glamorous nail paint that would be perfect for an evening affair. 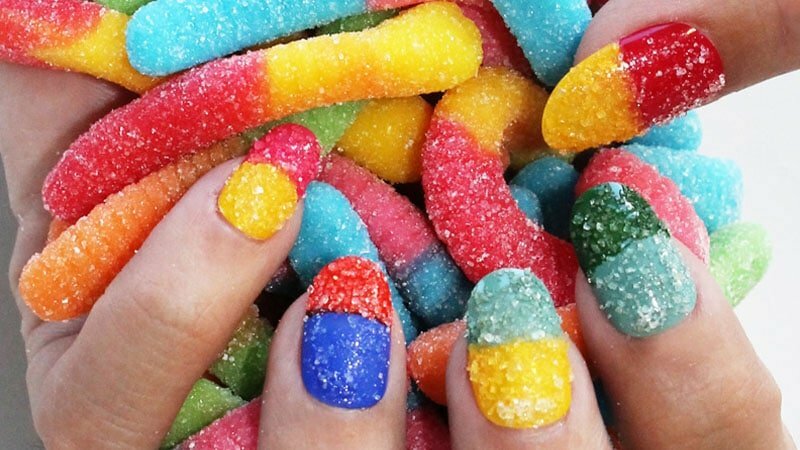 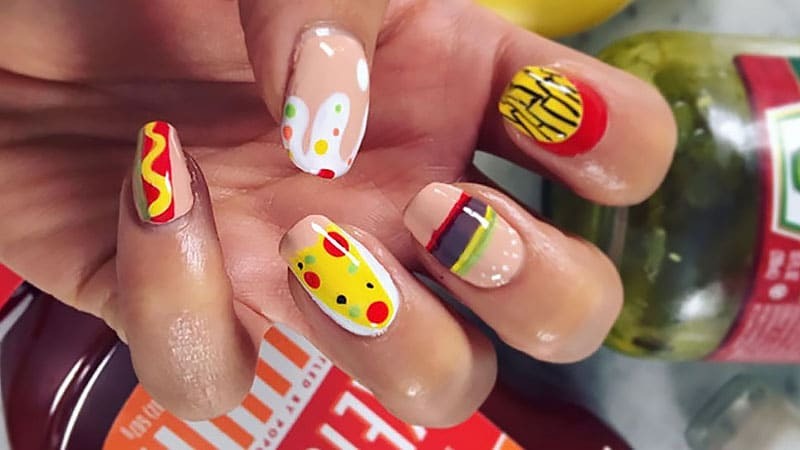 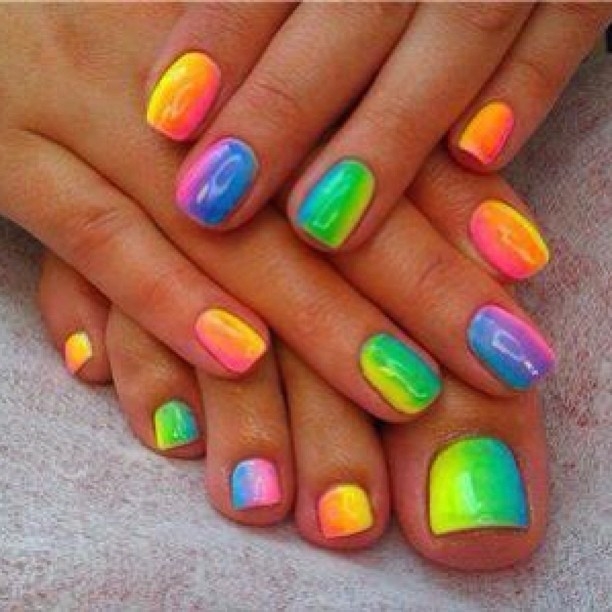 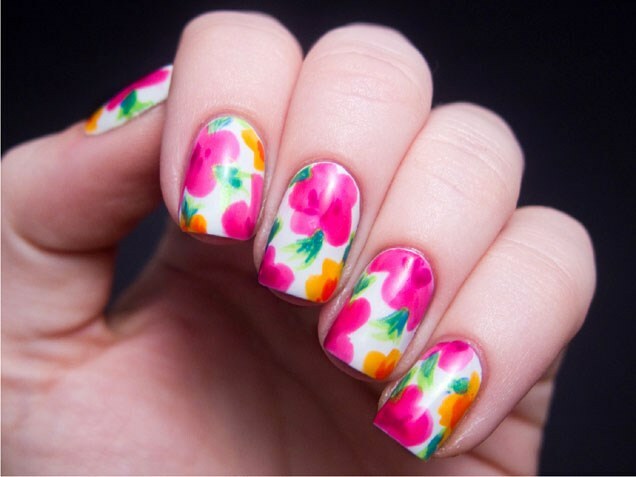 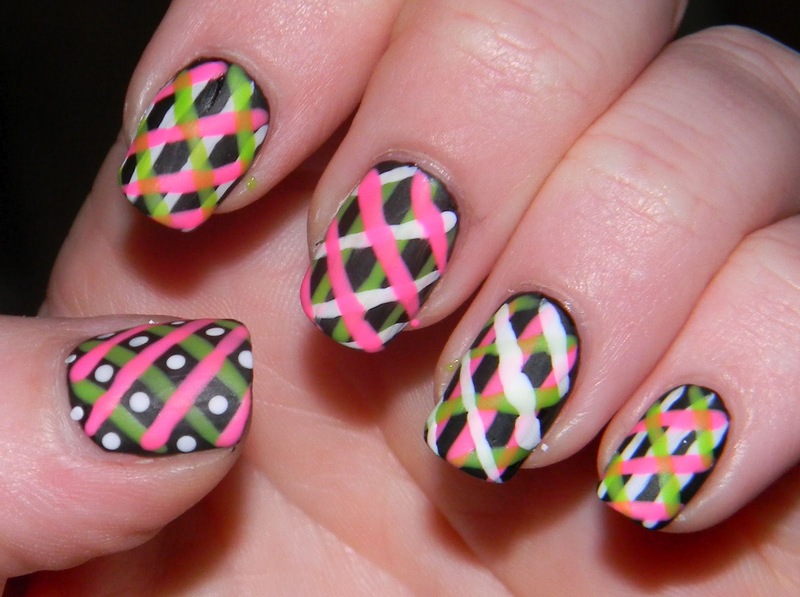 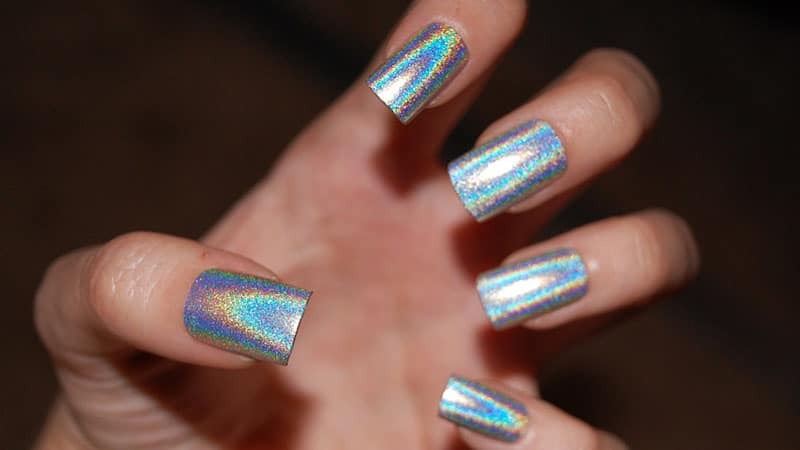 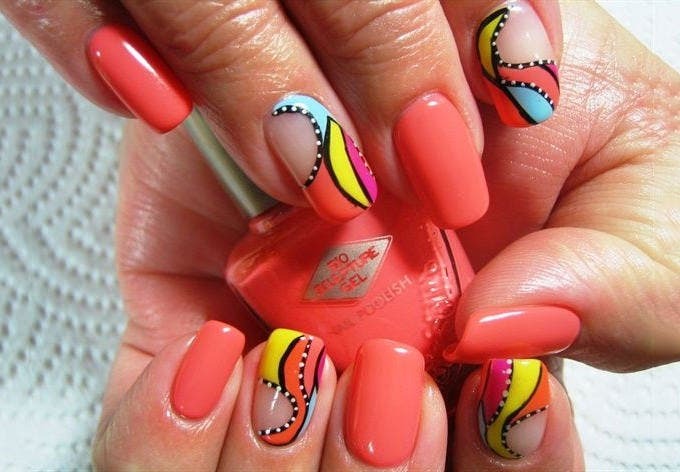 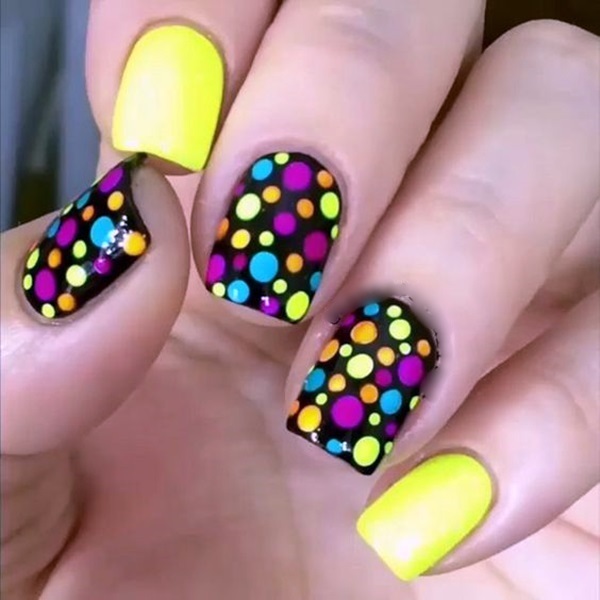 Nail painting idea for neon nails make use of colors not usually worn on nails such as bright orange, emerald green, clear bright yellow, ruby red, tangerine, neon blue, purple and rest of the neon color spectrum. 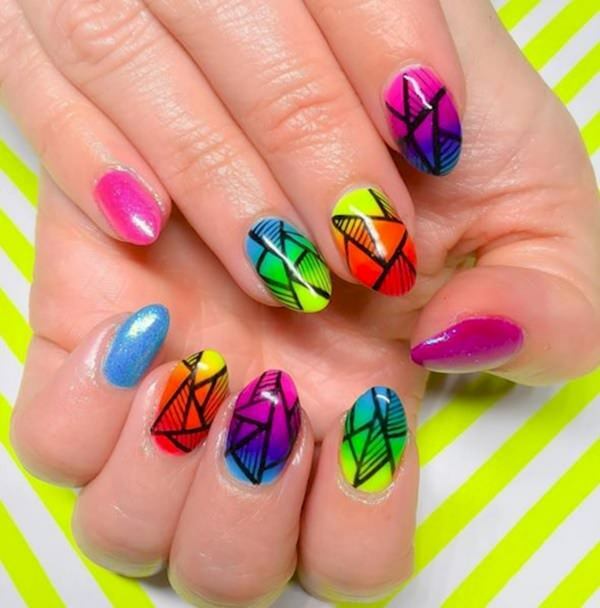 Before applying your neon colors, apply a base coat of clear polish, these neon colors are extremely pigmented and may tarnish the nail bed.